Sorry for the picture of the not-so-pretty teeth! I was just telling a friend the other day about how I used to put up pictures of MUCH grosser teeth in the bathrooms of my kids so that they would realize how important it is to brush their teeth. I was really tired of nagging, and fortunately, this tactic worked. The visual sense can be very powerful. So when I was trying to reduce the amount of sugar my kids were eating, I used another visual which I’ll share with you here. Can too much of a good thing be bad? –Poor growth due to too little vitamin and mineral intake. * I sometimes do experiments with kids in school where we will have one tooth in a water solution and another tooth in a cola solution. See the bottom of this post for the VISUALS for the teeth. Again, we want to be on the lookout for added sugars, and these can be sought out on the ingredients list by looking for words such as corn syrup, sugar cane, high fructose corn syrup, and cane juice in addition to the word “sugar”. A note on juice: Following the advice of my Biochemist father, I never offered my kids juice due to the high sugar content. I am thankful to him to this day for this advice, as my kids have avoided a lot of sugar intake by not drinking juice. However, the 2010 Nutritional Guidelines for Americans published by the USDA does say that 1 cup of fruit juice a day is OK for kids. So you can go ahead and offer your kids up to 1 cup of juice a day, but a smarter choice would be to dilute it with water or even better, offer the whole package… the whole fruit. What are other foods that have sugar—and how much? 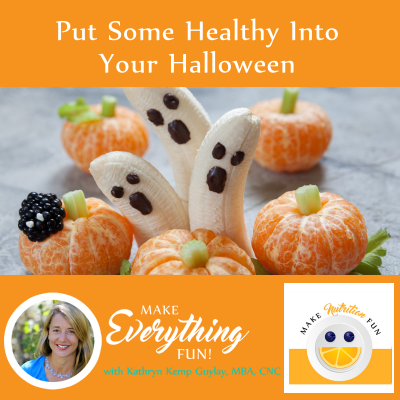 When I teach the lesson on sugar to kids, there are always a few big surprises as we look at foods and try to guess how much sugar is in each of them. Please enjoy the visuals below (photo credits: SugarStack.com). By far, kids are most appalled by the amount of sugar that is contained in soft drinks. 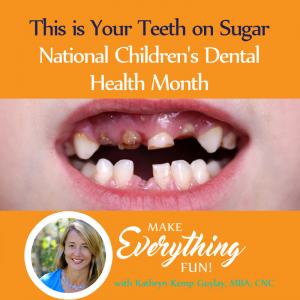 Kids can drink in so much sugar if they are not aware! What strategies can we use to moderate our sugar intake? You as a parent have control over the types of foods that your children can access in the home. So one of the best things you can do is to simply buy more healthy, fresh food and buy less “junk” food. When you offer your kids a higher sugar treat, make sure to pair it with a protein or high fiber item that will help to regulate blood sugar levels. Beware of drinking in too much sugar: avoid sugary drinks and eat whole fruit instead of juice. You can help to train your kids’ taste buds by gradually reducing sugar in recipes for baked goods and other home-made items when you can control what goes in. 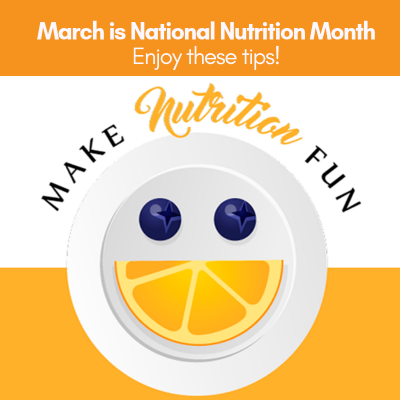 You can also act as a great role model for your kids as you select healthy meals and snacks for yourself and display enjoyment at eating a bowl of fresh fruit for dessert instead of a high added-sugar alternative. 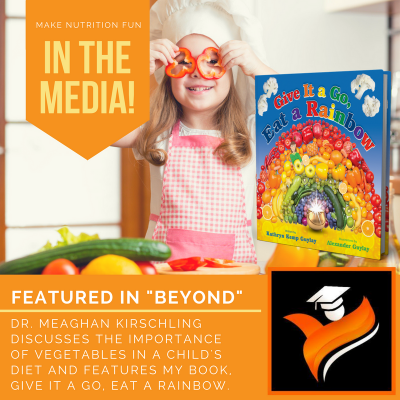 Taking kids through the aisles of grocery stores with you to read labels and compare sugar amounts in various items can also empower your kids with knowledge to make great choices. 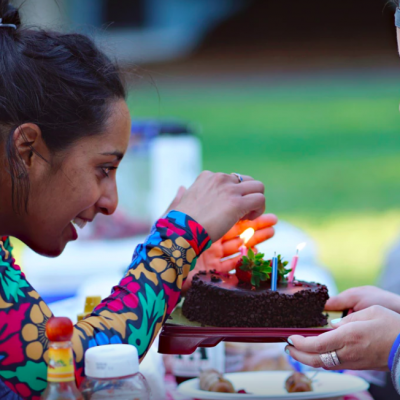 Finally, you can demonstrate moderation by enjoying your food—and sweet treats– but not overdoing it. I read once that after the third bite of a high sugar, high fat dessert (like a multi-layered cake or cream pie), your enjoyment starts to fade from its peak. So do we really want that fourth and tenth and twentieth bite? Maybe not. I hope you enjoyed the exploration of these questions about sugar as much as I did. As I said earlier, I’m not the anti-sugar police, and you can surely find me enjoying some sweet treats in moderation. 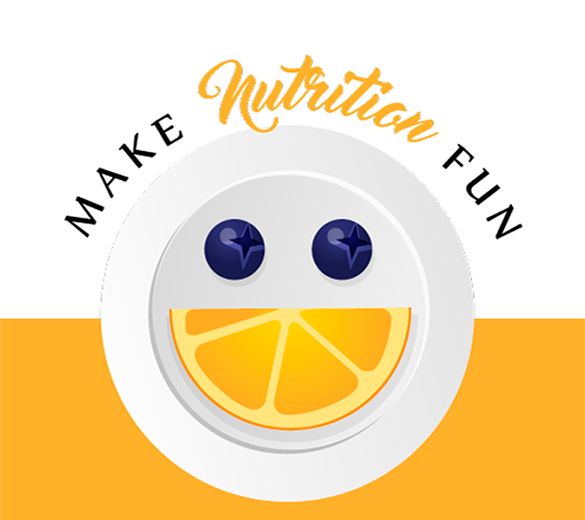 Make Nutrition Fun, right? -the jar was left in the kids’ classroom on the counter while the kids checked on it daily to exclaim “eewwww!” as the tooth changed color. Here are the before and after pictures…. The lego man is there to give you a sense of scale. The combination of the sugar and the acid turned out to be, well, overwhelming.